Quick and accurate measurement of FeNO. Without the expensive consumables and running costs. 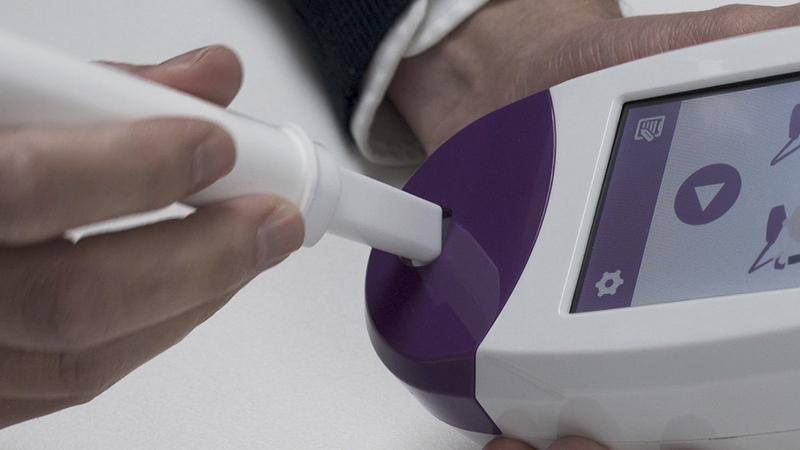 The Bedfont® NObreath® is a simple to use, battery-powered handheld monitor that measures Fractional exhaled Nitric Oxide (FeNO) in the breath. 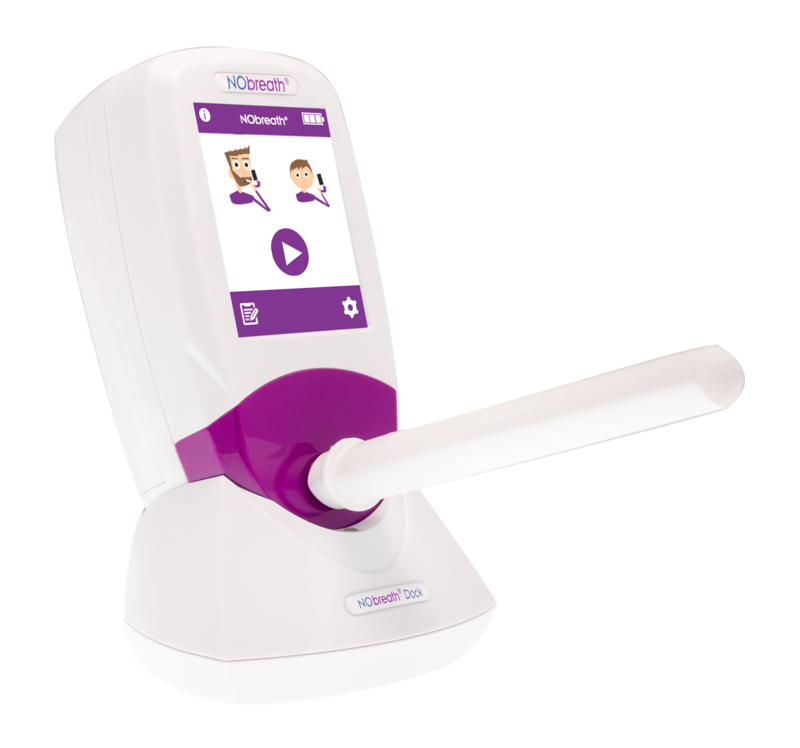 The device has been designed for use in almost any clinical setting and can be used to test children as well as adults. 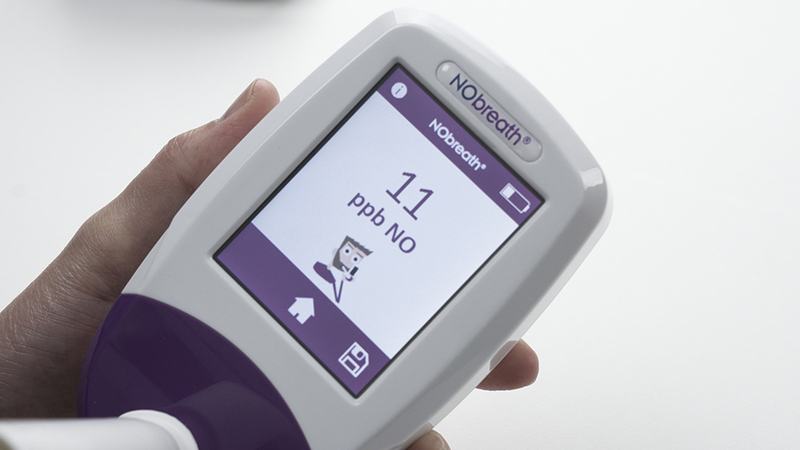 An adult patient blows into the NObreath® for 12 seconds giving an instant result for FeNO in ppb (parts per billion). The higher the FeNO reading the greater the inflammation in the airways. Reach a diagnosis of Asthma quicker, manage patient medication better, reduce “revolving door patients” and free up valuable clinical time without compromising on quality of care. A quick breath test with instant results. FeNO testing without the expensive running costs or contractual obligations. 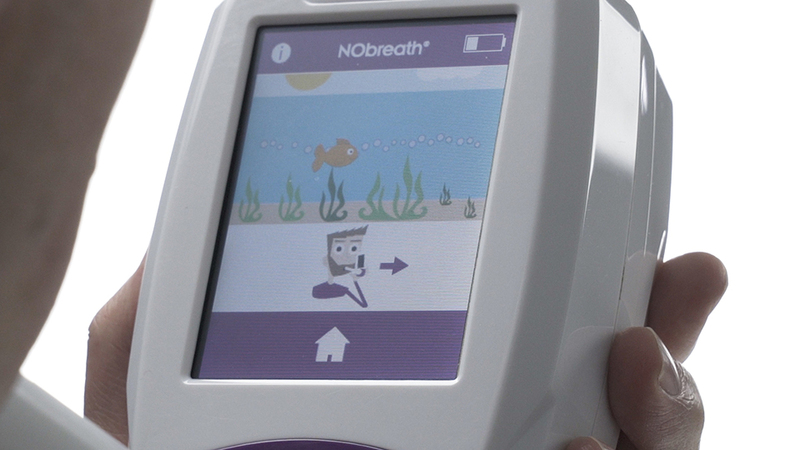 Make your department’s budget go further with NObreath® – FeNO testing at just £3.50 per patient! A 12-second test in 4 easy steps. The mouthpiece is supplied wrapped and is a long tube that connects to the front of the monitor. It contains a one-way valve and a viral bacterial filter reducing the risk of cross-infection between patients. 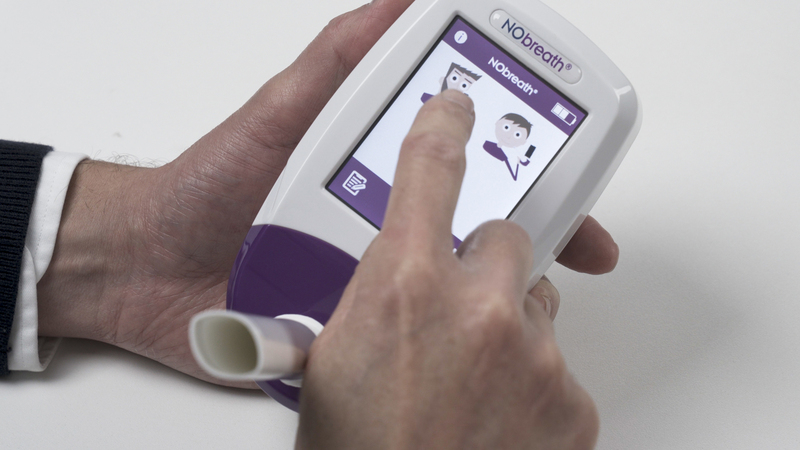 A NObreath mouthpiece can be used multiple times by the same patient reducing the cost per test. The monitor is easy to operate with its icon-based touchscreen display. Power up the monitor from the button located at the top of the monitor. Wait for monitor to warm up (typically appox. 20 seconds). To initiate the test, simply select the adult or child setting and follow the prompts. When prompted, take a deep breath in and exhale. Very little respiratory effort is required. 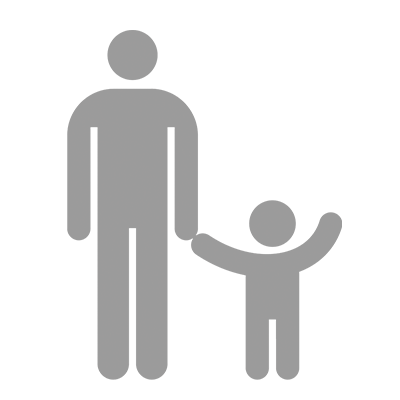 In order to succesfully complete the test, the breath should be exhaled at a steady flow for the duration of test. Resistance in the mouthpiece and the on-screen incentive help achieve this. 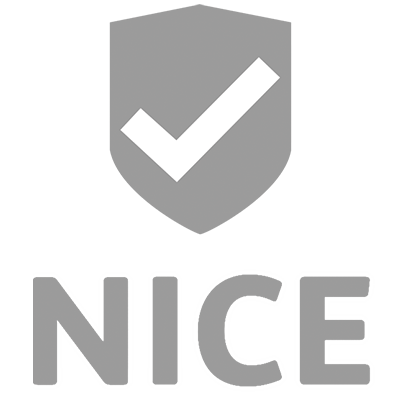 A green tick will appear if it is a good quality test. The reading will display immediatley afterwards as a single value in parts per billion on the screen. In accordance to the NICE guidance2, a reading of >40pbb is considered a positive test providing an indication that airway inflammation is present. FeNO Chart PC software comes free with the NObreath monitor as standard. It allows for test results stored on the monitor to be downloaded via USB cable to any PC. The software facilitates the electronic recording of FeNO test results with trending in order to easily track patient compliance to prescribed medication for better management of the condition. 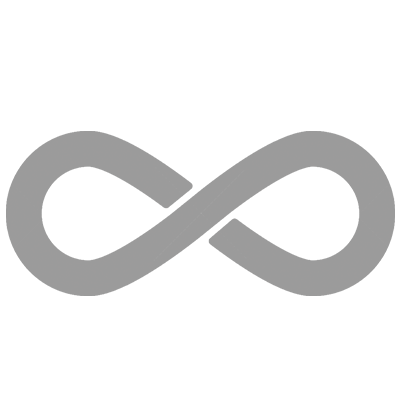 A PDF report option allows for easy export and attachment to any patient record system in just a few clicks. Download readings directly from the monitor and maintain a history using the free FeNO chart software. Chapter 1: What is FeNO? Chapter 2: What is NObreath? Does the NObreath® need to be serviced? The device is recommended to be serviced once every 12 months. What is the warranty on the NObreath®? 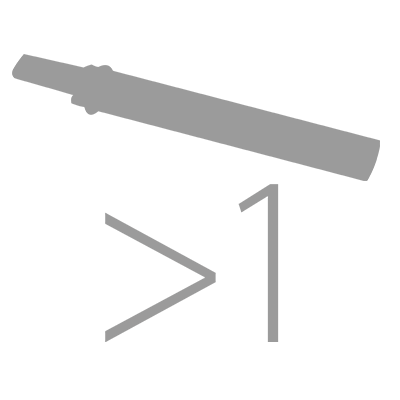 The device is covered with a two year limited manufacturer’s warranty. Is it recommended by NICE? Yes. NICE already recommend the NObreath® in the “Measuring fractional exhaled nitric oxide concentration in asthma” guidelines. Published 2nd April 2014. Can the mouthpiece be used more than once? Yes. The mouthpieces are single patient use only and can be used for a maximum of 3 tests. Does the NObreath® come with PC software? Battery Operation Life Up to 100 tests Approx. 2. 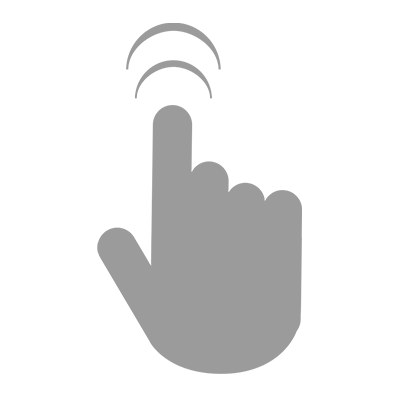 Asthma: diagnosis and monitoring of asthma in adults, children and young people – Draft NICE clinical guidance. Published July 2017. 3. Ricciardolo F. Multiple roles of nitric oxide in the airways [Internet]. Multiple roles of nitric oxide in the airways. 2017 [cited 27 March 2017]. 4. Andrew D. Smith, Jan O. Cowan, Sue Filsell, Chris MacLachlan, Gabrielle Monti-Sheehan, Pamela Jackson and D. Robin Taylor. Diagnosing Asthma: Comparisons between Exhaled Nitric Oxide Measurements and Conventional Tests. Am J Respir Crit Care Med Vol 169. pp 473-478, 2004. 5. D R Taylor, MW Pinenburg, A D Smith and J C D Jongste. Exhaled nitric oxide measurements: clinical application and interpretation. Thorax 2006;61:817-827.